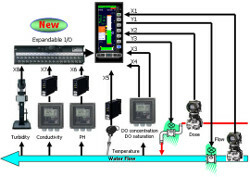 The YS1500 Indicating Controller incorporates fundamental control functions required for PID control. Necessary functions can be selected in accordance with the user's purpose. 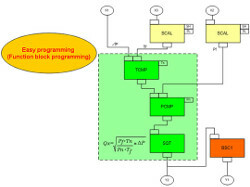 The available functions include those functions necessary for input signal processing, such as square root extraction and linear segment conversion, and feed-forward calculation. Single-loop, cascade and selector mode is also available. Standard models are smaller and lighter than earlier series, requiring less space for installation, and are compliant with international safety standards including the CE Mark and FM nonincendive (optional) approvals. For easy replacement of earlier controllers, models requiring the same panel cutout dimensions and depth as those of earlier models are also offered. Excellent legibility thanks to a full-dot color LCD: High visibility of the display screen is ensured even in direct sunlight in the early morning and late afternoon. The user can freely access a desired operation display from meter, trend display, bar graph, alarm, and event displays. All parameters can be set via the front panel display. Function selection mode (needs no programming): The multi-function controller mode allows control to be selected from frequently used functions (single-loop, cascade, or selector control) without programming. Function assignments to digital and analog inputs/outputs (DIs, DOs, AIs, and AOs) can be determined by parameter settings. Nonvolatile memory for memory backup: No battery or capacitor is used for memory backup, facilitating maintenance. 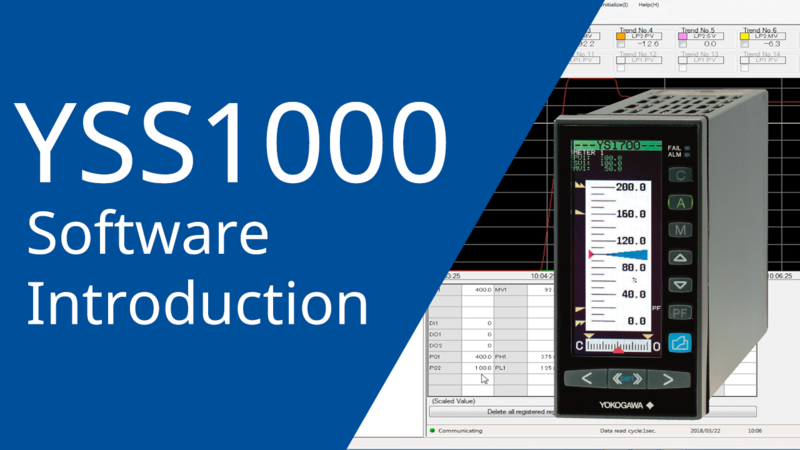 Compatibility with YS100 Series: Setting and control operations can be done with the same feel. For basic-type cases, terminal-to-terminal pitches differ but the signal-to-terminal arrangement is almost the same. The control output backup function comes standard with YS1000 series controllers (YS1700 and YS1500) and the Manual Station for MV Setting (YS1360). With dual-CPU construction (main CPU and display CPU), manual control capability and display continues even if an abnormality occurs on one of the CPUs. If controller self-diagnostics detects a control circuit failure, the controller can suspend analog/digital output, switch to manual mode and allow manual control by operator. 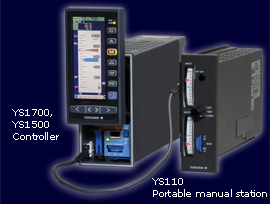 Use the YS110 portable manual station when exchanging or performing maintenance on a controller. You can switch to the spare controller without interrupting the control output. 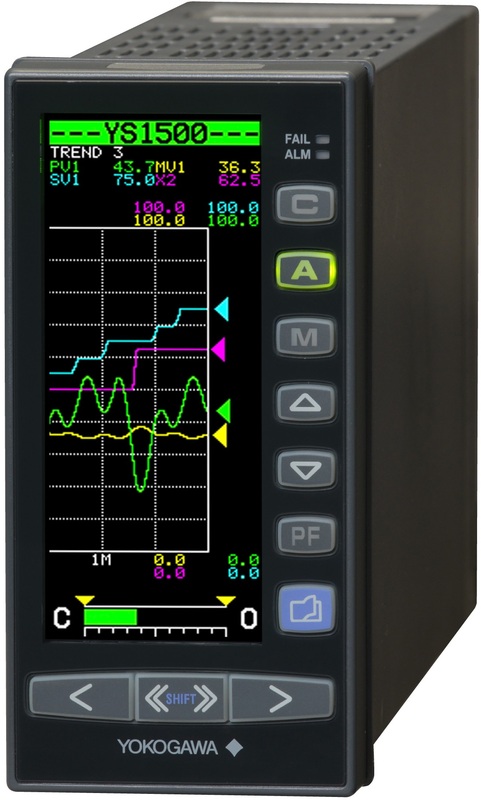 Simplifies tuning when starting up or changing the process unit under control. Can optimize tracking with changes in set-points. Also can maintain optimum responsiveness to disturbances. 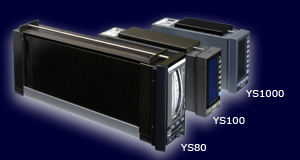 The YS1700/YS1500’s six DI/DO terminals can be used for both input and output.